Only about 30% of invoices generated to motorists who use Gauteng’s toll roads have been paid over a 24-month period, a response to a Parliamentary question revealed. In a response to a question asked by David Ross from the Democratic Alliance (DA), the Department of Transport set out the number of invoices that were sent out from April 2015 until March 2017. Of the more than 1.8 billion invoices that were issued in the past 24 months, more than 1.3 billion (more than 71%) were unpaid. In the answer provided, the department however pointed out that the South African National Roads Agency (Sanral) calculates the compliance rate in rand value, because invoices vary as a result of different tariffs in terms of things like the class of vehicle, time-of-day, and frequent user discounts. According to Sanral, the compliance rate of e-toll users for February 2017 was 29%. Ross also asked Transport Minister Joe Maswanganyi to provide the total outstanding amount that both registered and non-registered e-toll users owe Sanral, but the state-owned entity could only provide the amount owed by non-registered users, which as at the end of March 2016 amounted to R7.2 billion. The total outstanding debt could not be provided, Sanral said, as “year-end processes and audits” still need to be concluded. 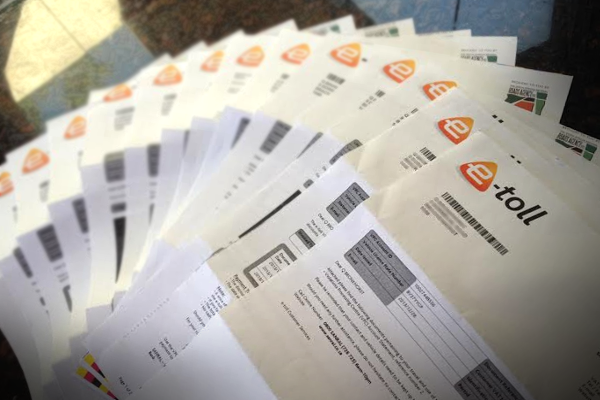 In addition, the transport minister said both registered and non-registered e-toll users – whether they’re individuals or companies – will be taken to court for non-payment of invoices, based on the merit of the case. In response to a separate question from Ross, Maswanganyi said the agency that is responsible for collection of e-tolls received payments of altogether R2.2 billion for full toll operations since the inception of e-tolls on 3 December 2013. Fin24 earlier reported that the company collecting payments for the contentious e-toll system in Gauteng has been fully owned by the Austrian conglomerate Kapsch since August last year. This came about after the divestment of the only black economic empowerment (BEE) partner in TMT Services & Supplies, with which Kapsch Trafficom made up the e-tolls collections company Electronic Toll Collections (ETC).